I have a passion for vintage tea cups and when I spotted this one at a local craft fair I could not resist. 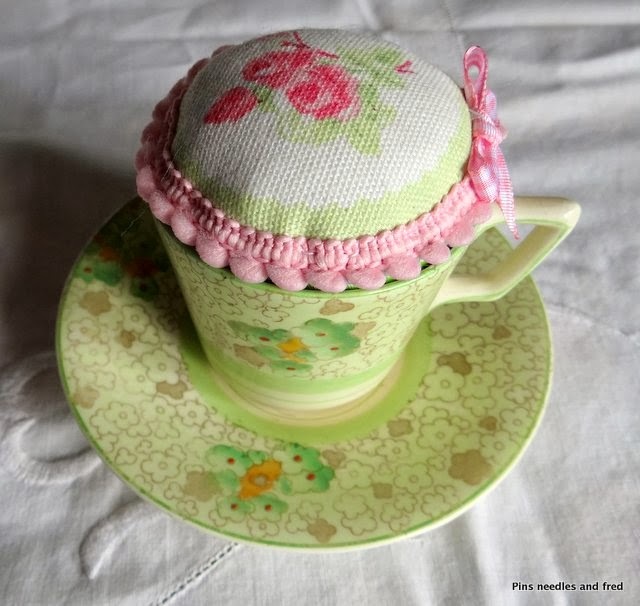 This is not just a tea cup: lift the pincushion lid and you will discover a little sewing kit. 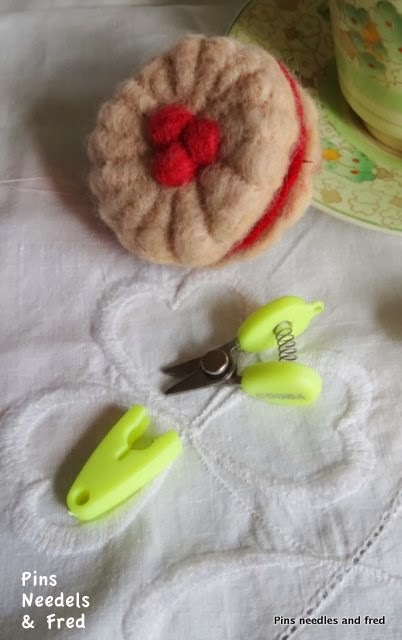 The needle case is a needle felted jammy dodger; there is also a reel of cotton and a tiny pair of scissors! 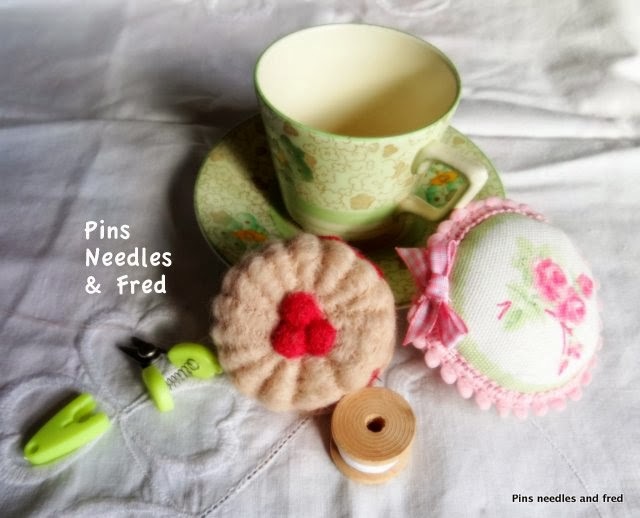 I leave the needles treaded: one with white cotton and one with black ready for the little emergency sewing – the time you want to go out in your favourite dress and the hem has come down, or a button pops off at the last minute, this little sewing kit is ready and waiting. 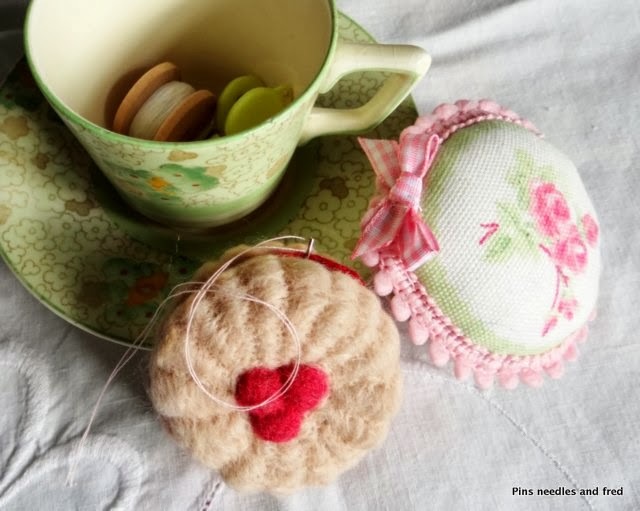 The little needle felted jammy dodger is easy and fun to do, the tutorial will be on here soon if you fancy making your own.